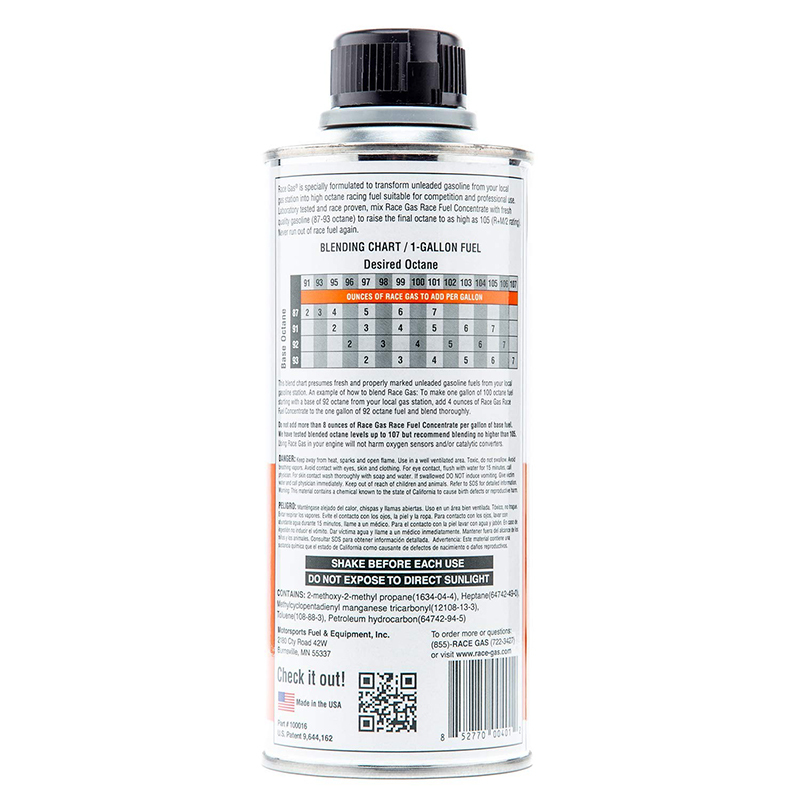 Oxygenates are one of the most misunderstood compounds in gasoline. While many have heard of the negative effects of oxygenates like Ethanol and Methanol not all oxygenates are created equal. Oxygenates play a very important role in high octane gasoline. Like the name suggests oxygenates add oxygen to gasoline. As we all know our engines need oxygen to burn fuel. By adding an oxygenate to RACE GAS we are adding that crucial oxygen to the fuel which, in turn, allows the engine to burn fuel more completely thereby taking advantage of the additional carbon atoms added by the fuel hydrocarbons. The net result is more horsepower! The oxygenates that are used in Race Gas are not derived from alcohol like methanol and ethanol and therefor do not damage fuel system and engine components like these oxygenates do. Moreover, we know that RACE GAS is safe for cars even under the most demanding conditions. We have burned RACE GAS in everything from a 944 Turbo race car, a modified Audi TT, a Hemi Magnum, a Hemi Challenger, and modified VW R32, a Corvette and many other cars. All showed increases in power, throttle response and torque, (you can see the dyno test results of many of these cars on our test results page at www.race-gas.com). 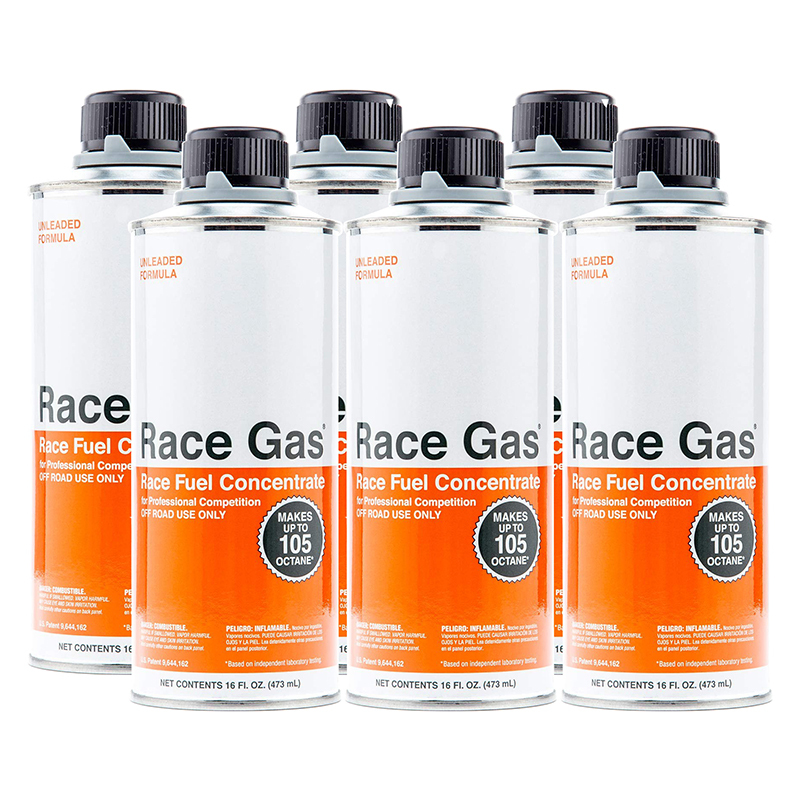 Try a can of RACE GAS and you'll find what everyone is finding - that RACE GAS really works, turning ordinary pump fuel into RACE GAS.